Arden, the new master-planned community in Palm Beach County, is quickly taking shape with an anticipated opening in early 2017. Complete with amenities that were designed with today’s families in mind, life at Arden will celebrate nature, healthy living and a strong sense of community. Construction on Arden has been moving quickly. Over the past few months, more than four million cubic yards of dirt has been moved, and more than 85 acres of lakes have been created. Once completed, the community will feature 176 acres of lakes, creating beautiful scenery and a thriving new ecosystem. To encourage residents to spend time in nature, most of Arden’s 2,000 homes will back up to the new lakes, greenway or nature trails, making it easy to enjoy the outdoors. 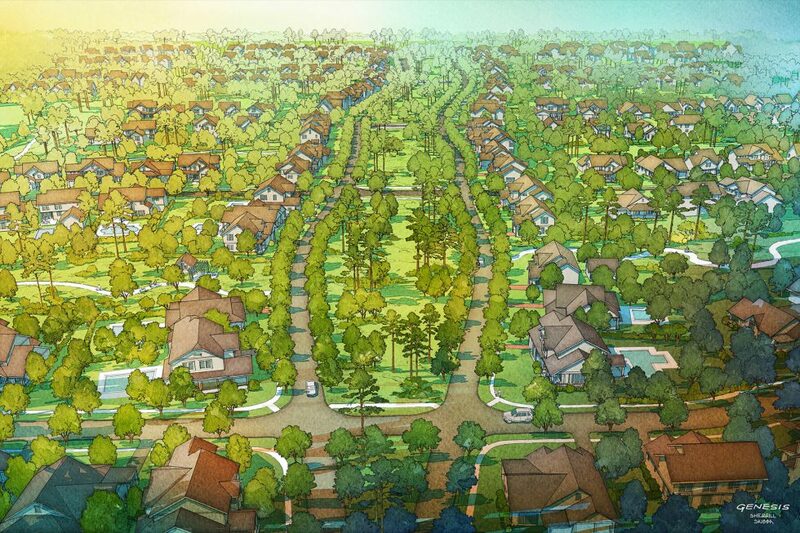 Before Arden was designed, community developer Freehold Communities conducted extensive research to determine what people want in their new homes and communities. “Our research showed that inviting gathering spaces for social interaction and easy access to healthy food and best-in-class fitness options were in high demand,” said Suzanne Maddalon, Vice President of Marketing for Freehold Communities. “We also found that active adults are shifting away from age-restricted communities to be closer to their kids, grandkids and friends. Since Arden will appeal to a range of age groups, we designed the clubhouse to serve as the connective tissue for our multi-generational residents, while still providing unique and private areas for those who want some quiet time,” she added. Arden’s amenities were designed with this lifestyle in mind. Nineteen miles of trails, a great lawn for events, a community farm and acres of lakes for kayaking, canoeing and fishing are just a few of the natural amenities that are designed to encourage an active lifestyle. The split-level, resort-style pool provides a space for everyone with the peaceful upper pool and cabanas, and the active lower pool with play areas for children and families. The two-story Clubhouse, at the heart of the community, provides residents with healthy snacks at The HUB Wi-Fi café, indoor and outdoor meeting spaces and a fully equipped fitness center complete with Wellbeats™ virtual trainers on demand. Want to learn more about Arden and everything this new community has to offer? Join our Founders Club to receive news and updates.